What is the safety rating for the 2019 Hyundai Kona? Home » Hyundai Kona » What is the safety rating for the 2019 Hyundai Kona? The 2019 Hyundai Kona offers many different features that all strive to potentially help keep your drive as safe as it can be. This is partially how the popular SUV earned its good safety rating. Let’s see what makes this SUV a great family vehicle. The Insurance Institute for Highway Safety gave the 2019 Hyundai Kona a Top Safety Pick+. This means the 2019 Kona is rated ‘good’ in things like it’s ‘crashworthiness,’ where it was tested for its roof strength, head restraints, and the front and side overlaps. These are only a few of the standard safety features you can find on your 2019 Hyundai Kona, and they were all taken from the bottom trim. So, you’ll find more standard features the higher trim you get. Some of these features include driver-assist features such as the Pedestrian Detection system, Parking Distance Warning, Blind-Spot Collision Warning, and Lane Change Assist, which you can get on different trims of the Kona. If you are looking for your next vehicle then come on over to Coastal Hyundai today! We are a Hyundai dealer located near Palm Beach, FL, and have a variety of Hyundai vehicles for you to test drive! Don’t miss out on your chance to get your future Hyundai SUV. If you have any further questions please don’t hesitate to contact us! Our knowledgeable team would love to tell you more about your future Hyundai vehicle. 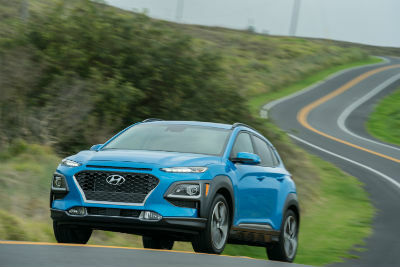 This entry was posted on Thursday, January 24th, 2019 at 11:44 am	and is filed under Hyundai Kona, Safety. You can follow any responses to this entry through the RSS 2.0 feed. You can skip to the end and leave a response. Pinging is currently not allowed.